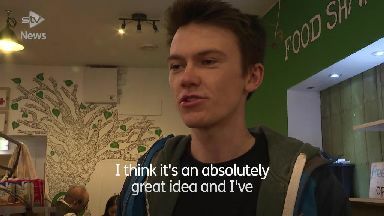 The shop aims to cut-down food waste in Edinburgh, where 54,000 meals are wasted weekly. 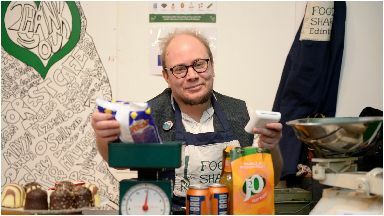 A shop selling 'rescued food' will open its doors for the first time in Scotland - with customers paying a donation for goods which would otherwise be thrown in landfill. 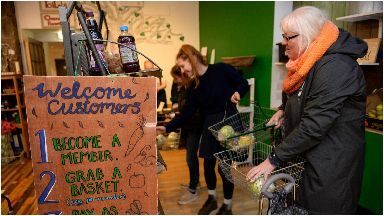 Stats compiled by the Food Sharing Hub suggest the quantity of food waste would be around 27.1 tonnes a week in the capital - while Zero Waste Scotland estimates that nationally, 1.35 million tonnes of food and drink are thrown away a year. To combat this, the Food Sharing Hub has introduced a membership system, costing £1 to join per month. Once a member, shoppers can fill a basket with food every day, and contribute a donation to help cover the costs. It has been happening on a smaller scale for the past five years, with volunteers from the SHRUB Coop, which collected 30.36 tonnes of surplus food from 25 small businesses and redistributed it, on foot or by bike, to local charities. But the new shop will be the first time in Scotland that large corporations have been involved. 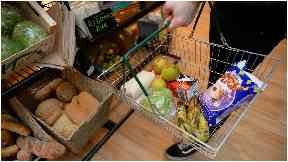 Shop co-ordinator Sydney Chandler, 33, said: "We've got a huge variety of stuff - longlife milk, lettuce, apples, bread, rice, even cans of Red Bull. "It's a bizarre mix of things. "We have got no idea what's going to come in." Sydney added: "The supermarkets donate food which is still safe to eat, that doesn't meet their brand standards - as opposed to legal standards. "It would be legal for them to sell it and it is legal for us to. "It's things like bakeries wanting to get rid of bread at the end of the day. "Part of what we're doing is trying to eliminate that, making people think 'does it look like it's gone off and smell like it's gone off, or is it a day the shops are trying to get it off the shelves?'."